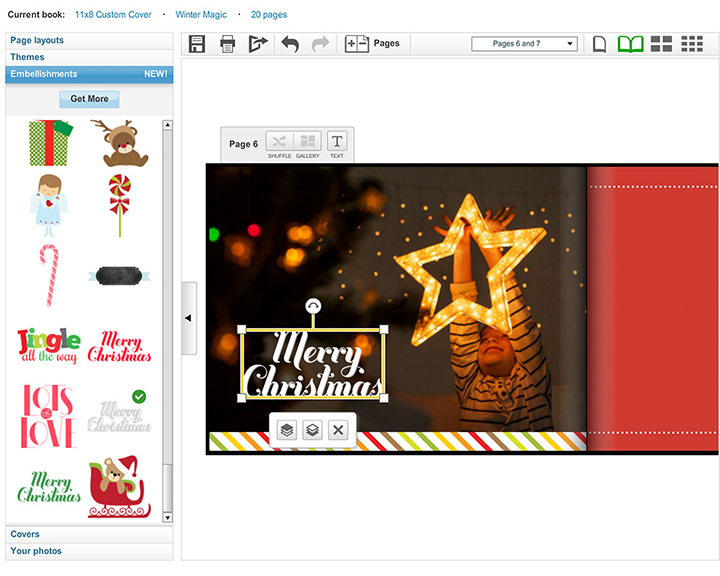 We at Snapfish have come up with three of our best tips on choosing the perfect embellishments to help you create your own unique personalised Christmas photo book. TIP 1: Use more than one! 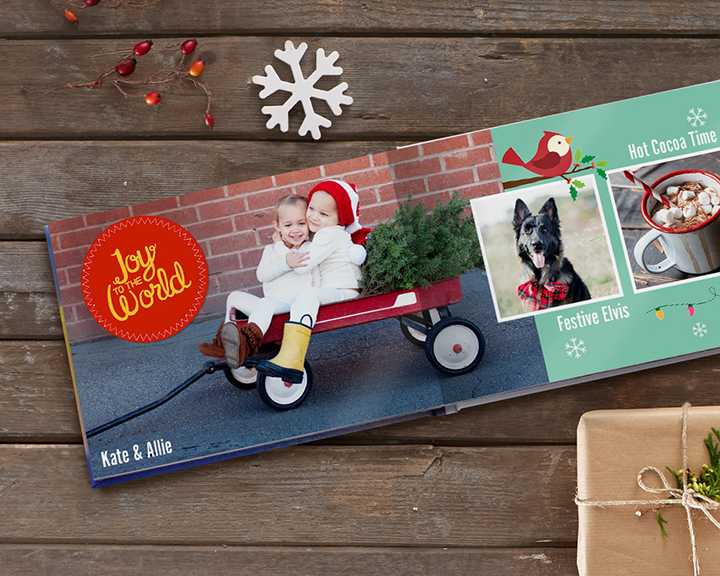 Layering a type embellishment over a shape gives your photo book that extra personalised touch! In this example, we have paired a bright yellow “Joy to the world” embellishment with the medallion. The yellow-on-red colour combo really makes the text pop! Be selective when choosing your embellishments. Instead of overloading the page with embellishments, choose one or two that will compliment your favourite photos of those special family moments. TIP 3: Skim the collection before making your selection. It is difficult to know where to start, when there are SO many embellishments available. Here are some of our favourites for Christmas, but you aren’t limited to just those. You can get creative and use a simple ribbon to frame the edge of the page. 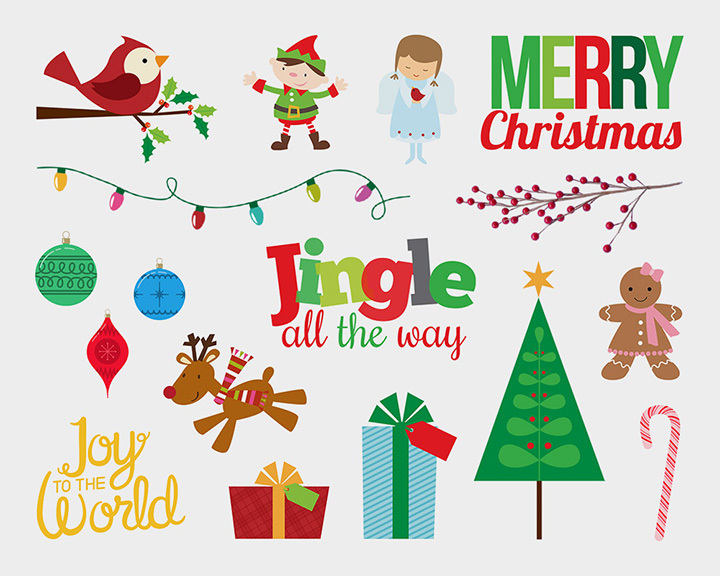 Tagged as Christmas, christmas presents, embellishments, Inspirational, personalised photo gifts, photo books, snapfish, snapfish blog, snapfish photo book, top tips.